Take a dark and mysterious journey into the life of Edgar Allan Poe. 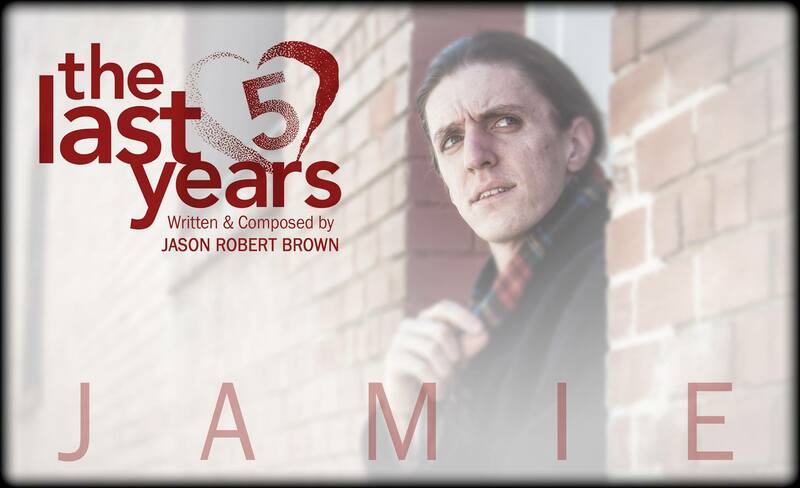 This imaginative musical uses Poe’s poetry and short stories as its base and his shifting obsession with the women in his life as its catalyst. With hauntingly beautiful melodies, “Nevermore” breathes new life into Poe’s work and explores a twisted true-life tale that is as bizarre as his classic stories of the macabre. 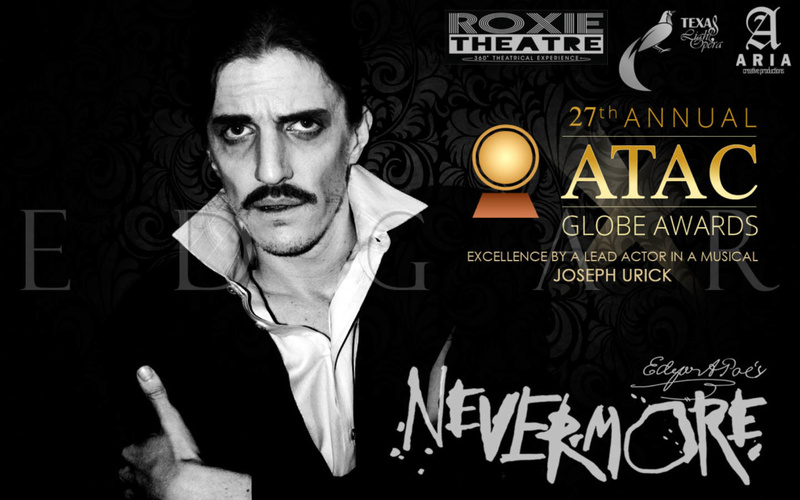 Aria Creative Productions and Texas Light Opera in association with the Roxie Theatre, will present “Edgar Allan Poe’s NEVERMORE,” a bio-drama on the master of macabre himself. This musical is a dark and romantic portrayal of Poe’s life, told thru a series of dream-like vignettes that take the audience on a whirlwind thru his life, as well as presents ten of his most brilliant poems as musical numbers, including “Evening Star,” “Annabelle Lee,” and “The Raven.” This production will be the Texas premiere of this musical. 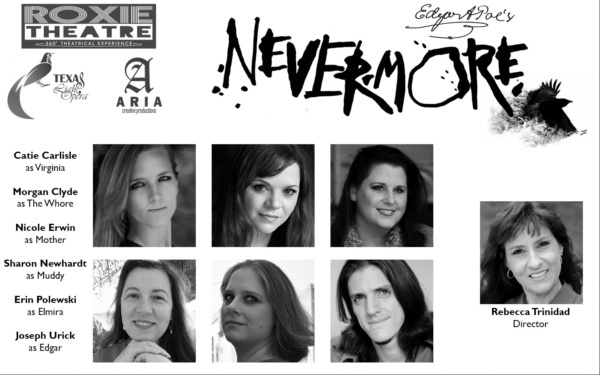 The cast includes Catie Carlisle, Morgan Clyde, Nicole Erwin, Erin Polewski, and Sharon Newhardt. Joseph Urick plays Edgar, as well as directs. Edgar Allan Poe (1809-1849) was an early Romantic American writer best known for his dark poetry and chilling short stories. He is one of America’s literary pioneers, as he popularized the short story, and is often credited to pioneering the detective genre, which even Sir Arthur Conan Doyle drew inspiration from for his iconic Sherlock Holmes tales. Most importantly, Poe was the first established American writer who tried to earn his livelihood through his writing alone, which resulted in crippling financial difficulties, and a tumultuous career as an editor and critic. While the play is about Edgar’s life, it is the women who are the most prominent feature. The ladies of this cast include Catie Carlisle as Virginia. Catie has been seen most recently in productions around San Antonio including “Locolobo” at the Overtime, and “Born Yesterday” at the Classic. The Whore is played by Morgan Clyde, who has won ATAC Awards for her performance of Katherine in “Taming of the Shrew” (Classic Theatre), and her fight choreography for “Born Yesterday.” As Edgar’s young sweetheart Elmira, Erin Polewski joins the cast after having played Rose in “The Secret Garden” at the Emily Ann Theatre in Wimberley, TX and Rachel Brown in “Inherit the Wind” at the Circle Arts Theatre in New Braunfels. TLO Executive Director, Nicole Erwin portrays Elizabeth Poe, Edgar’s Mother. Nicole has been featured on many San Antonio stages, and most recently portrayed Claire Holmes in “The Secret Garden” and The Wardrobe in “Disney’s Beauty and the Beast,” at The Playhouse San Antonio. The role of Muddy (Maria Clemm) will be played by Sharon Newhardt whose recent credits include “Joseph and the Amazing Technicolor Dreamcoat” and “Mary Poppins” at The Woodlawn Theatre. Lastly, Rebecca Trinidad returns to the theater scene as the show’s Co-Director after overcoming her battle with cancer. Rebecca is the creator and driving force behind “Broadway Nights” at The Woodlawn Theater. 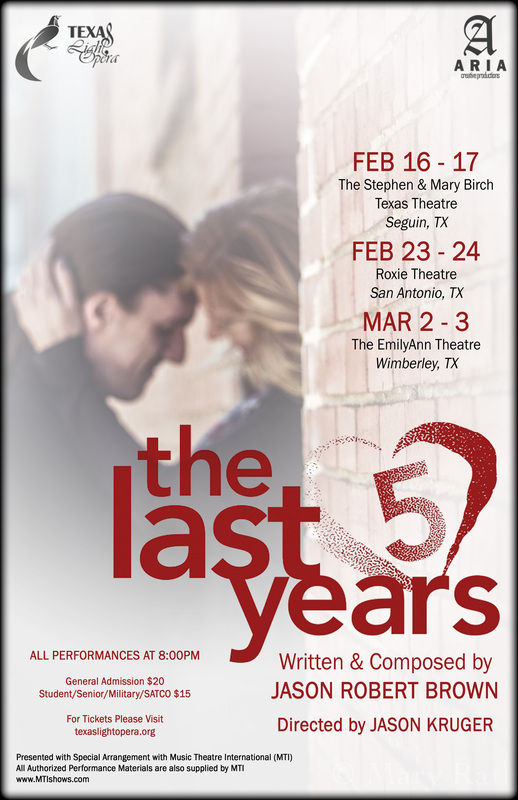 Notable performances include “Funny Girl” at The Playhouse San Antonio and Jack’s Mother in “Into the Woods” at The Woodlawn Theater. 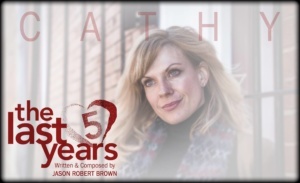 She also recently directed the highly acclaimed “Memphis” at The Woodlawn Theatre. This production is not recommended young children, and contains mature situations. The running time is 2 hours and 15 minutes with intermission. 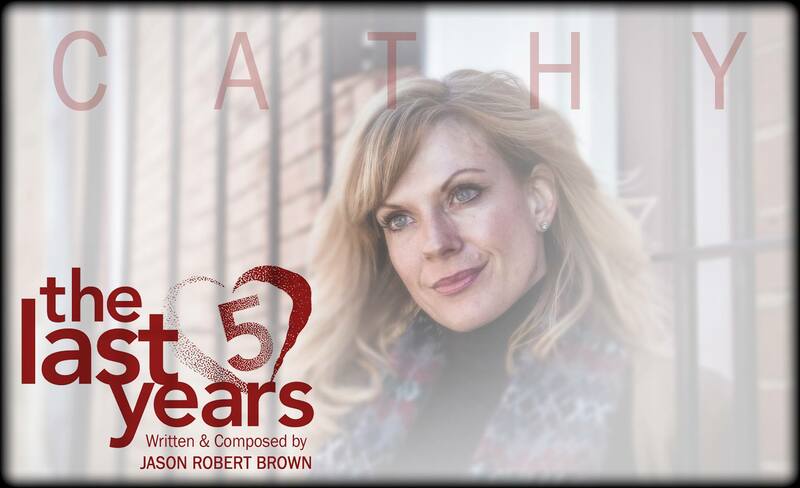 Music Direction is by Darrin Newhardt, Set Design by Jonathan Pennington, Lighting Design by Tim Kelleher, Costume design by Rose Kennedy and Sound Design is by Charles Drew. 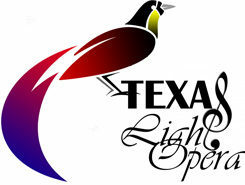 Texas Light Opera is a Non-Profit Community Arts Program that seeks to educate and entertain through musical theatrical productions, as well as provide a showcase for local and emerging talent. We provide a foundation for artists to perform in both classical operas and contemporary musicals. 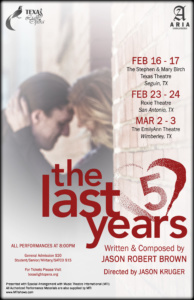 Our vision is to attract performers and audiences from San Antonio and surrounding areas. We serve as a creative extension for educators in theatrical arts and encourage youth to further their studies and build their artistic careers. Ticket sales cover less than 25% of all Operating Expenses, As such, we rely on the generosity of our donors to bring our productions to the stage. What we do is made possible through our supporters, like you, who share our love and passion of theater and music. Your support makes our mission to provide a showcase for emerging talent possible. We are a registered 501 c (3) not for profit organization. Please consider a gift today.